Sandra joined the club as a coach in 2007. As an athlete, she joined Bristol Athletic Club when she was 12 and that marked the beginning of her life-long involvement in athletics. She competed at County and Regional levels as a sprinter. Later in her career, She won 4 UK ‘Masters’ sprint titles. She has been coaching sprints and long jump for over 30 years. Besides coaching sprints at Yate, she is Team Manager for the male “Team Avon” in the Youth Development League. She also officiates as starter’s marksman for competitions. 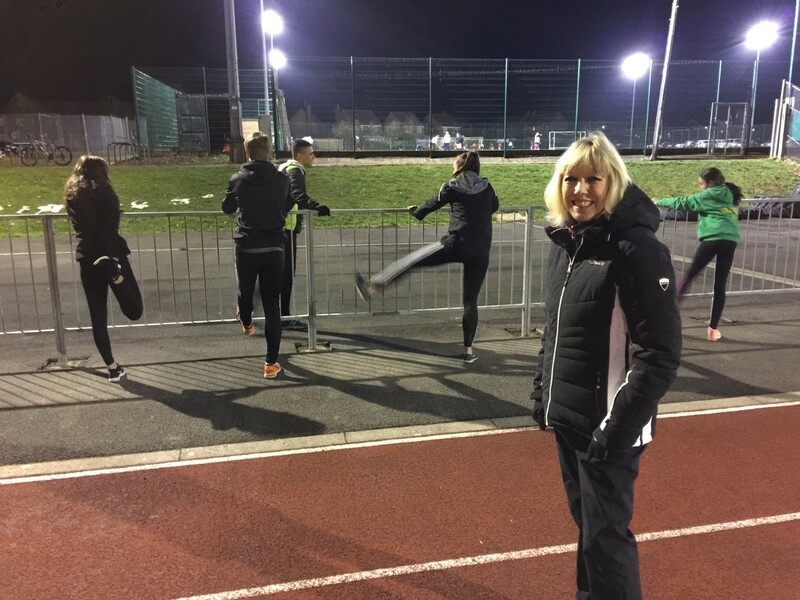 Sandra is a fully qualified UKA performance coach and has a current enhanced DBS check. Over the years, she have coached numerous athletes to success, including her daughter who was an international long jumper. Sandra is proud of all her athletes achievements and was especially proud to receive a Power of 10 UK target award, when one of her younger athletes was among the highest ranked nationally for 400Hurdles. Sandra coaches at Yate on a Tuesday and Thursday evening, from 7.00-8.30pm. Any prospective athletes need to be ambitious and hard-working.